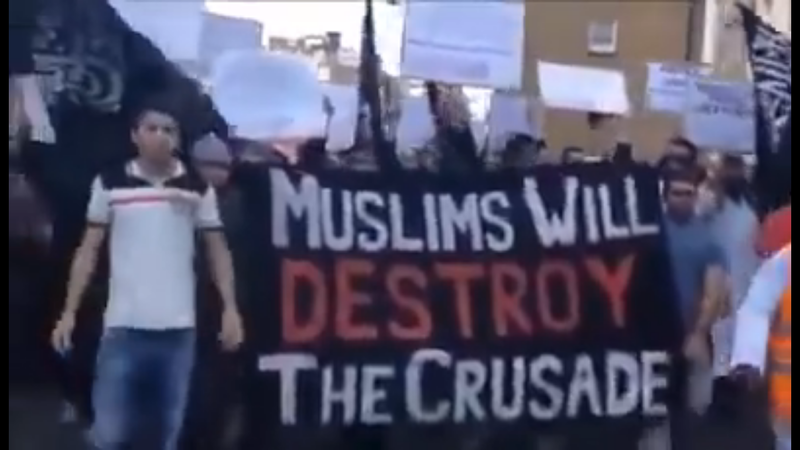 The ISIS flag on the streets of London, Muslims calling for jihad against America, Jews and "crusaders"
With the ISIS flag on streets of London, Muslims calling for jihad against America, Jews and "crusaders". This is not in Tehran, this is in London! The results of the Islamization project of the regressive-left giving its fruits now in the West. And you still talking about Islamophobia?